CONSTRUCTION IS RIPE FOR DISRUPTIONS! 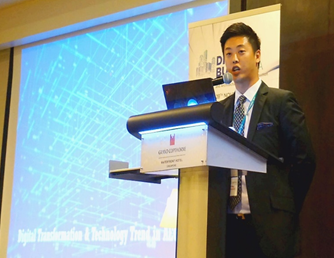 Digitalization and transformation is the current “Fever” that is constantly echoed within the construction industry of Singapore. The Singapore government's Industry Transformation Map (ITM) for the construction sector is more than a vision for the sector's future. It is a survival plan. A timely and necessary response to the technological changes taking place in Singapore and around the world. 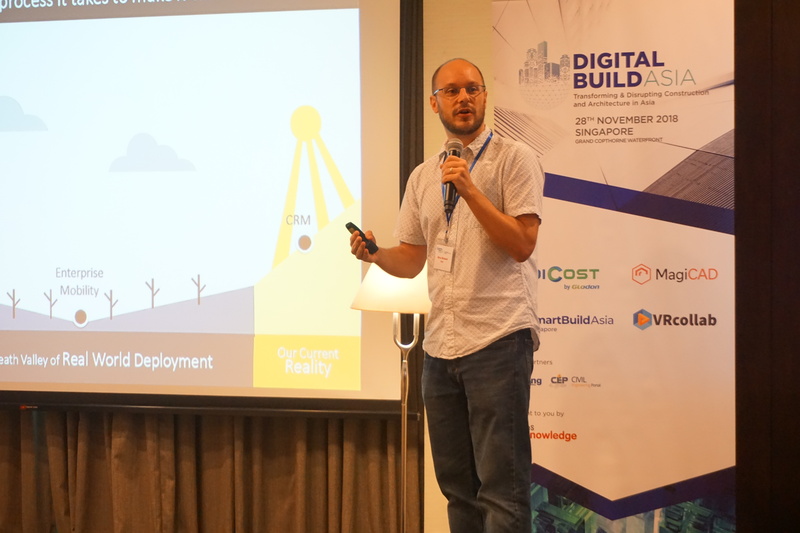 Digital Build Asia, hosted and assembled at the Grand Corpthorne Waterfront Hotel on the 28th November 2018, received over 60 participants whom had their knowledge deepen and stretched over the course of a day. The diversity of the audience expertise included those of Developers, Architects, Consultants and Quantity Surveyors domain. 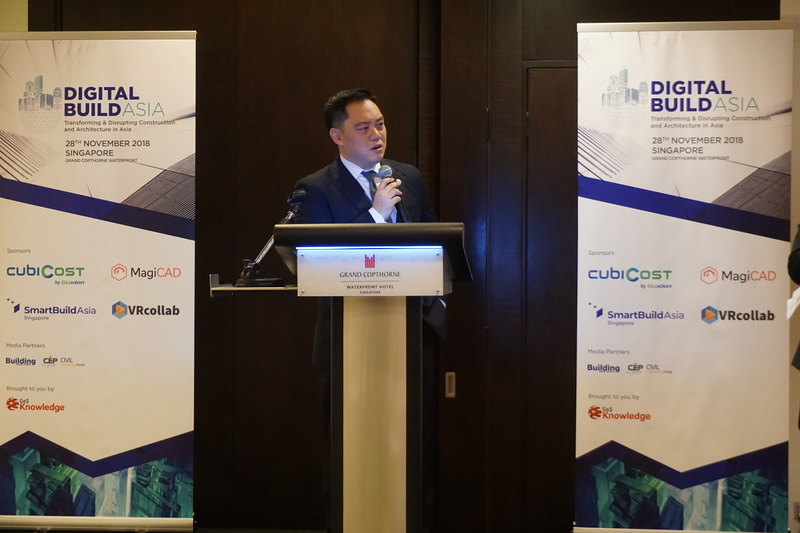 With the theme on Transforming & Disrupting Construction and Architecture in Asia, it aims to generate discussions surrounding the industry’s key issues from different perspectives; how global best practices and innovations can enhance a project life cycle comprising of design, engineering, and efficiency challenges. Contributing to the whole construction eco-system on the latest insights into how innovation and adoption of technologies, tools and processes to power change and revolutionize the future of the built environment. 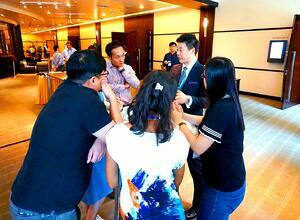 The sharing was divided into the morning and afternoon session. A total of 10 speakers addressed the crowd singing the same tune on improving constructability and the rising need to transform the industry through and with digitalization. 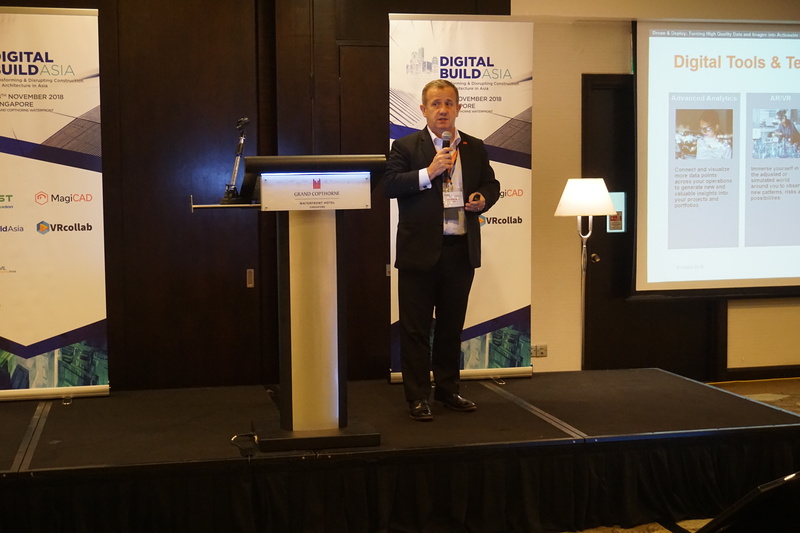 Alain Waha, Global Lead – BIM and Digital Transformation at BuroHappold Engineering, was given the honour to emcee and host the event. 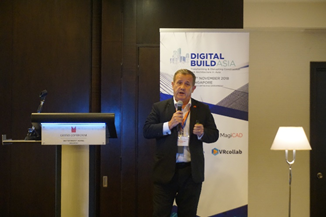 He kick-started the sharing session on the importance of Digital Transformation within construction sector – from Design to Operations. He spoke on key issues such as low productivity growth, under-performing assets, under-investment in technology and systemic market lockers. 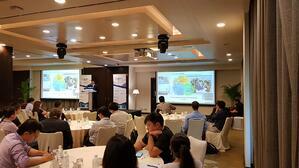 He also discussed opportunities arising from the application of the emerging new technologies. 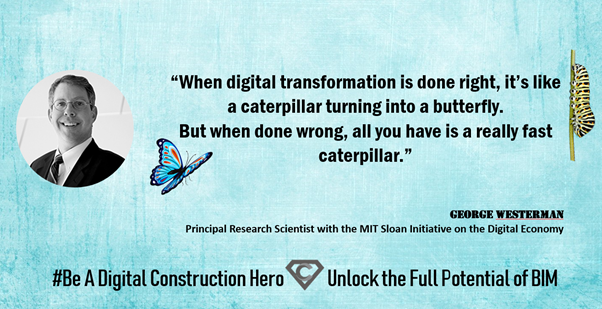 Last but not least, he reminded us that achieving true transformation requires re-thinking of the business approach, and use of data to create transformation outcomes. 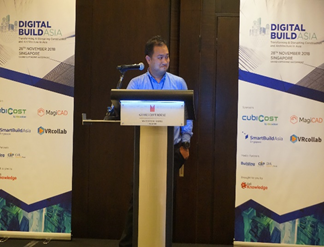 Rexter Ratana, Digital Delivery Manager, Major Projects Division at Mott Macdonald, presented his views based on a case study in Enterprise-Wide Digital Transformation. 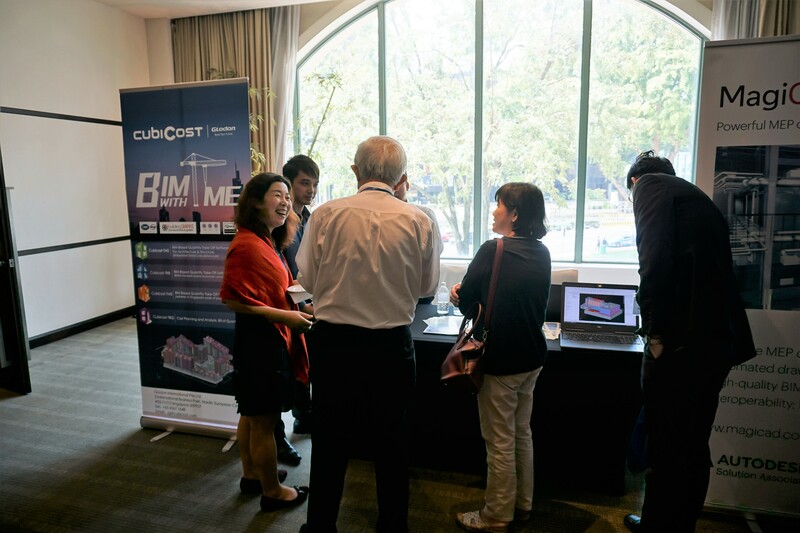 He reiterated the fact that BIM is not just implementing and accumulating different individual standalone software to primarily tackle one specific issue, but re-thinking BIM through the whole lifecycle of the acquired project. He points towards Common Data Environment (CDE) Integrated Design Approach, Cloud Based Collaboration and the future steps from basic parametric design to generative design and beyond. 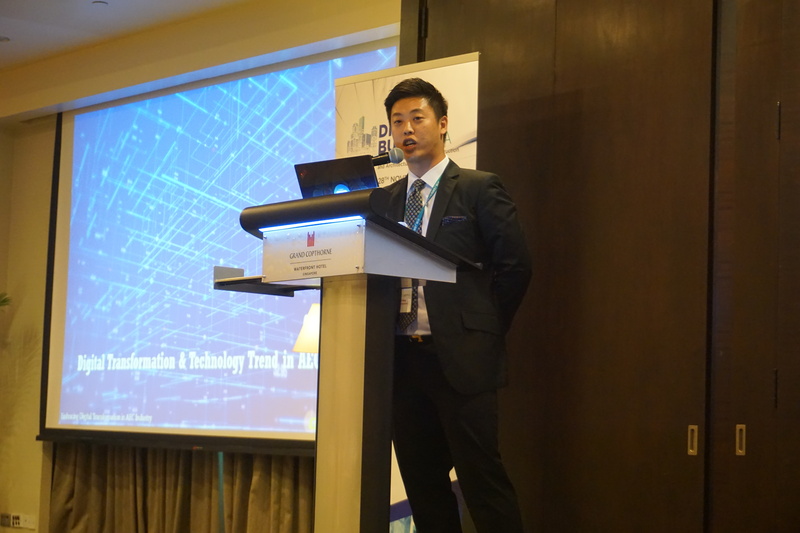 Gao Li, Head of Business Innovation at Ananda Corporation spoke about the roadmap and aspiration for Ananda Construction Tech, starting from ground zero. His department of innovations, was acknowledged via an Enterprise Innovation Award (from over 20 nominations) at the 24th Asia IoT Business Platform for the use of Big Data and Machine Learning Technology to enhance business operations. He discussed ways of operationalising and institutionalising digital transformation in a traditional business and getting stakeholders on the collaborative journey with successful stories. 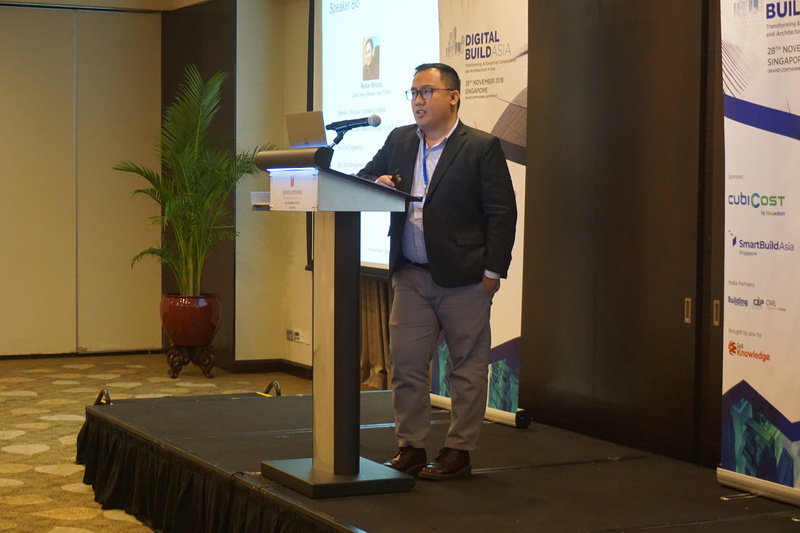 Joel Ong, Director of Business Development and Marketing at Glodon International Pte Ltd (Singapore), addressed the current challenges of embracing Digital Transformation and understanding technological trends within the AEC Industry. Although the construction industry suffers from sluggish productivity growth and relatively low financial returns, it has been slow to embrace the process and technology innovations that could help it to do better with respect to both profitability and performance. 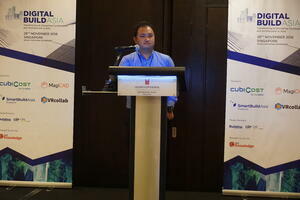 He reinforced his insights on the current challenges for Engineers and QS in a BIM working environment. Utilizing technologies such as BIM, cloud-computing, Big Data, IOT, AI etc. By doing so, it creates a new platform and new ecosystem that enable an innovative paradigm shift for the AEC industry, in order to achieve the industry goal of “Making Every Project a Success”. 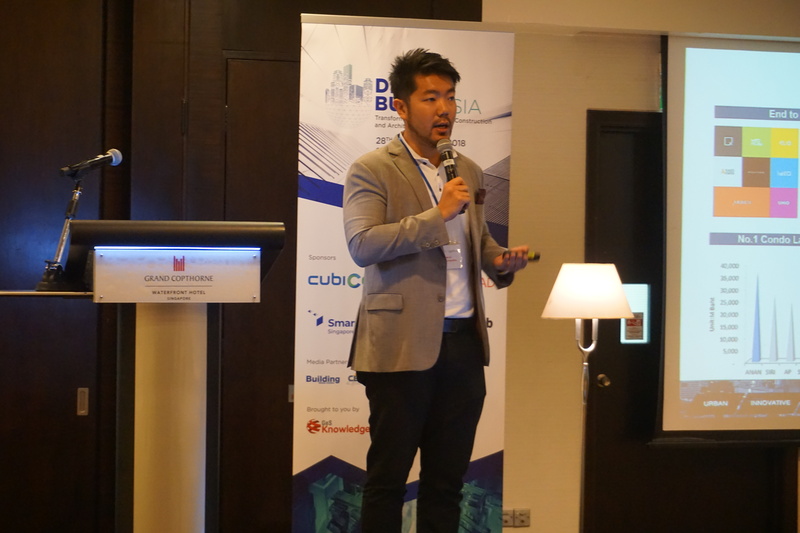 He summarized his sharing focusing on the implementation of Glodon’s Technology and Services with Digital Design through MagiCAD, Digital Quantity Take-off and Cost Management Platforms (DCMP) through Cubicost and lastly, Digital Project Management through Glodon’s DPMP. 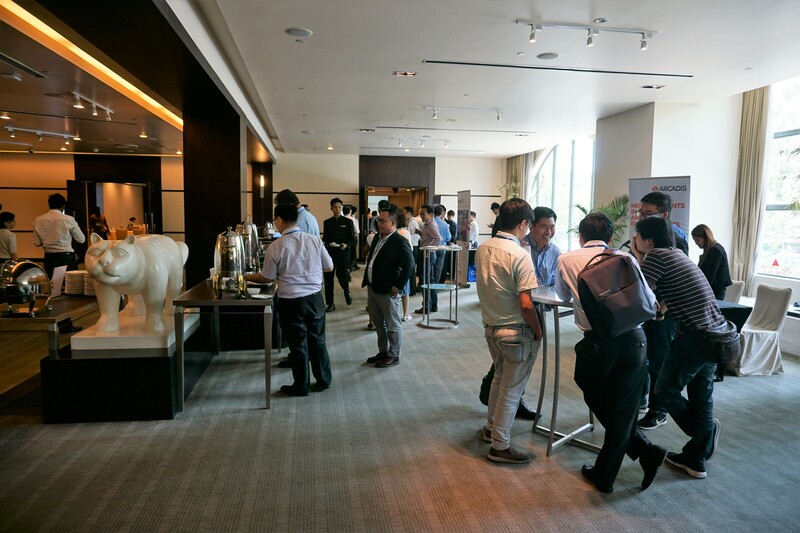 An hour lunch break was much needed in between for the participants to mingle, relax their minds and to visit the exhibitor’s booths that were presented on the show floor. 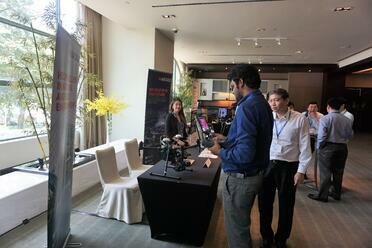 Glodon International along with SmartBuild Asia, Arcadis and VRcollab, had their equipment and banners paraded to welcome the inquisitiveness of the audience. Second half of the day’s event saw the next 5 remaining speakers who presented their case evolving around the theme. Brice Richard, Lead Consultant at Arup, mentioned that master planning has always been about bringing the three layers comprising of physical, social and economics together to provide cities with successful development plans. He defines digital as the 4th important layer and its significant role for a well-balanced and resilient masterplan. 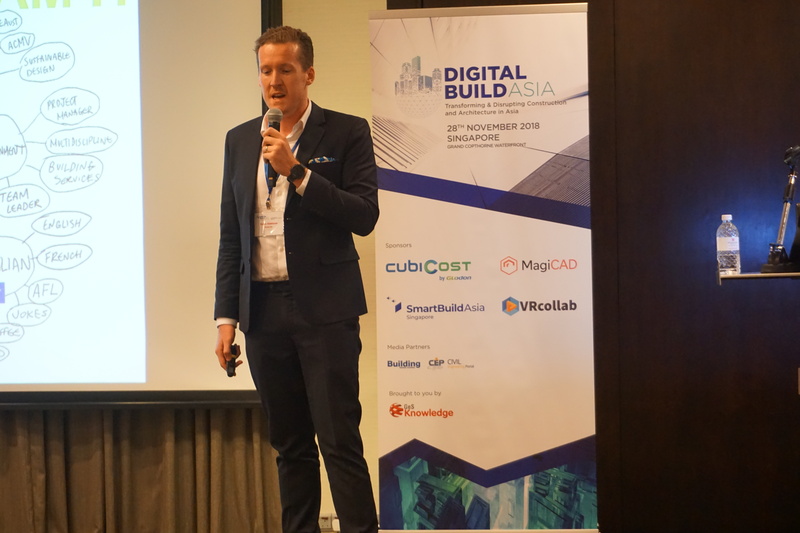 Colin Eddison, Associate of Built Environment at Aurecon, gave his topic on Digital Engineering from Bytes to Sites: Trends and Tangible outcomes. He presented an overview of the digital project landscape, opportunities of applied technology and cases studies of bringing everything together on site. 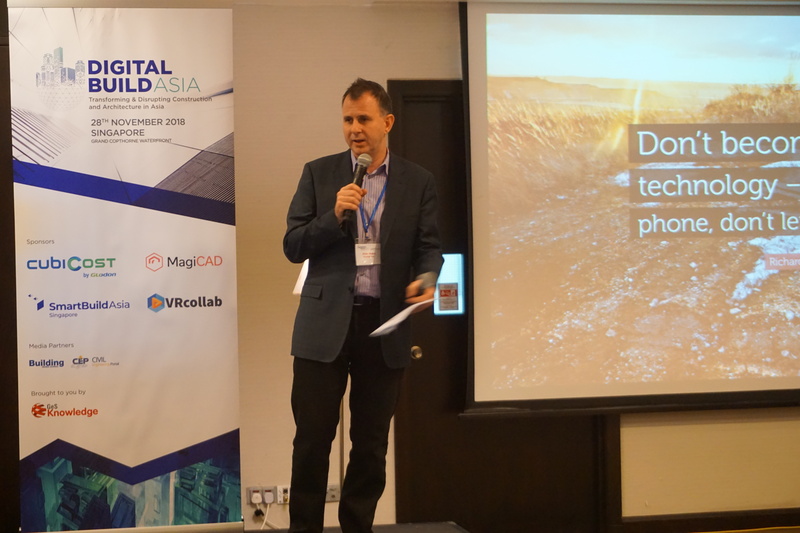 Tim Risbridger, Executive Director & Singapore Country Head at Arcadis, shared his insights on the current benefits of using drones, opportunities to integrate drones with AI, and what the future of drones could look like. He mapped out a great vision for the audience of a unique solution that ingergrates different technology, and how much impact it can have in helping shape the industry. Dileep S Rangan, Asia Programme Director at IBM Watson, continued the conversation with his topic on Artificial Intelligence for Engineers – in the office and on the job-site. He defined the scope of AI, and its capabilities. He shared his experience and insights on the lesson learnt building an AI solution. Mr. Rangan also talked about how Watson and contracting can form a collaboration, as well as visual recognition and AI on the edge. Sonny Andalis, BIM Manager of Transportation Dept. at Aecom, helped us understand how to write and interpret an Employer Information Requirements and how to write an effective BIM execution plan. He also share some case studies of different project types and contracting arrangements from both consultant and contractor’s perspective. 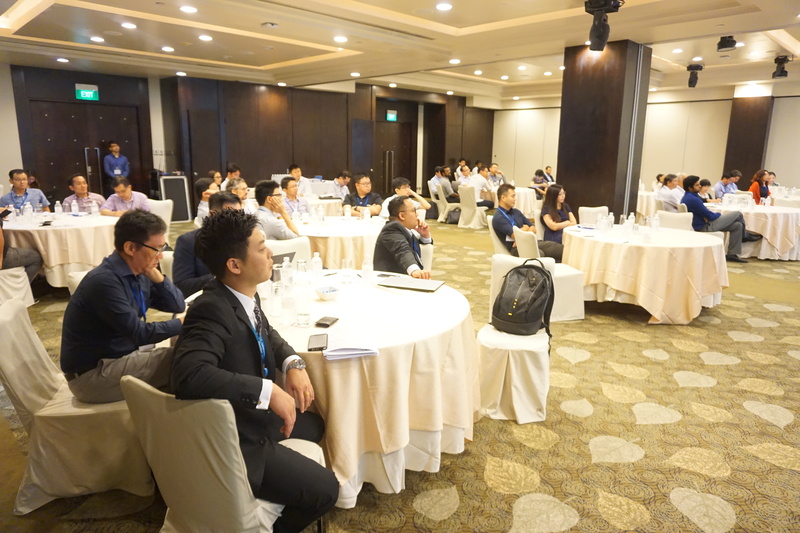 At the end of the day, the audience took with them a whole chunk of valuable knowledge in understanding the urgent need for a change within their organization processors. While digital transformation is a long-term strategy that will span years, we have already started feeling its repercussions which will continue the following year. 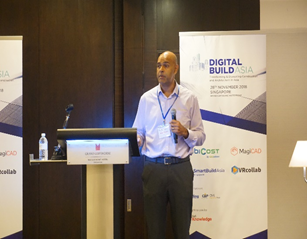 Organizations and companies in the construction sector in Singapore, must start looking at undergoing and partaking in digital transformations to remain viable and competitive.